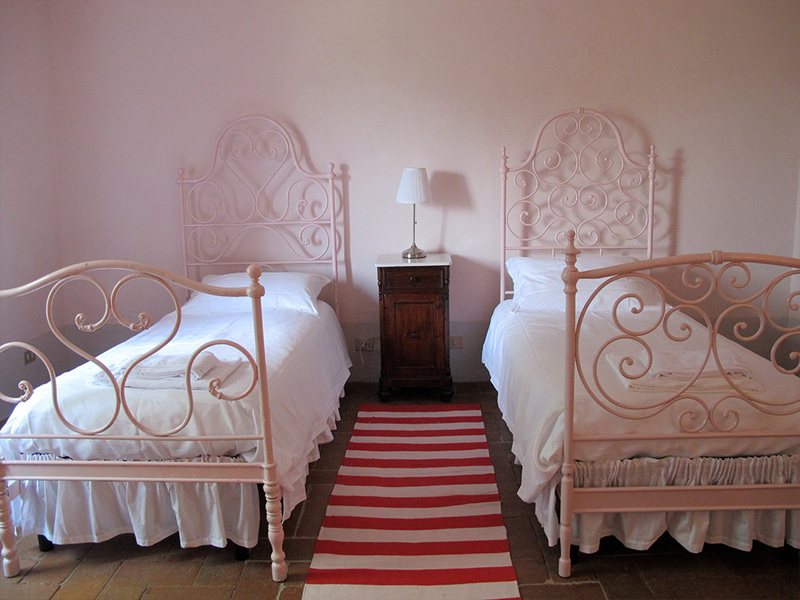 At Castello Sonnino you also have the chance to stay in an exclusive apartment situated in the thirteenth-century tower. 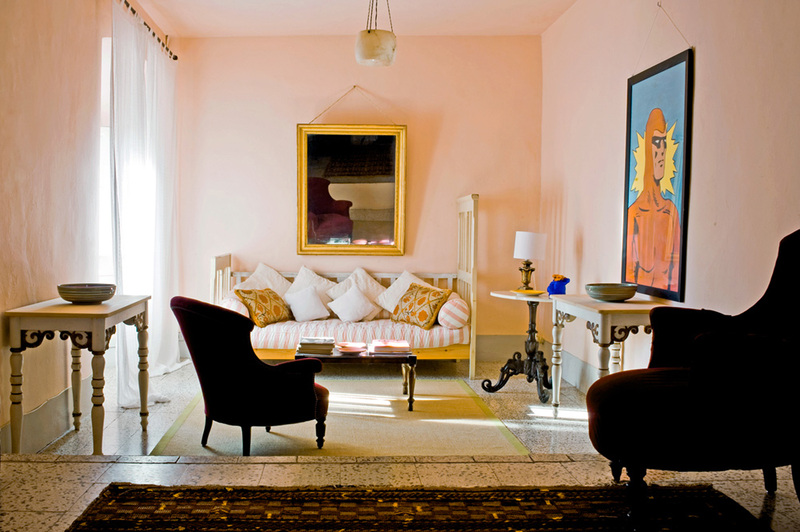 The decor has been designed with the greatest care, in harmony with the traditions and taste of Tuscan houses. The traditional materials, the colours with their warm hues and the combination of antique and modern furnishings make the whole, extremely attractive and welcoming. 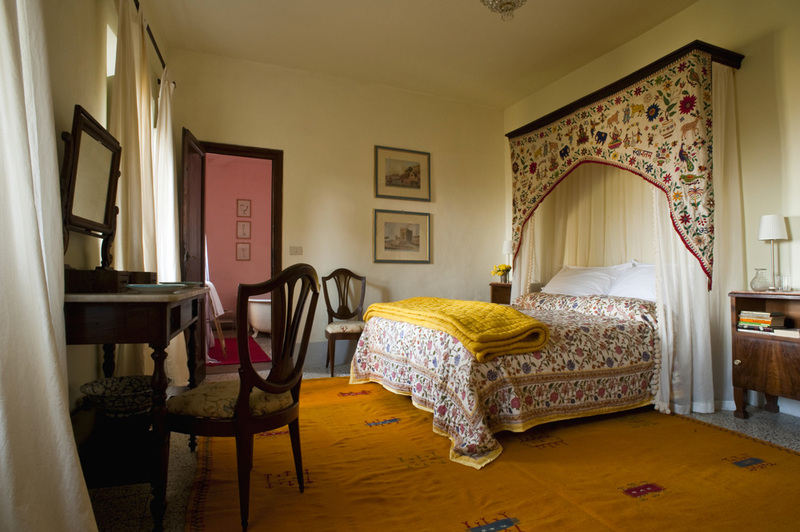 It’s the ideal choice for special occasions and honeymoon nights, drenched in an ancient atmosphere in the heart of Florentine Chianti. The apartment (150 mq) is made up of a spacious living room, a kitchen, two large double bedrooms, one single and two bathrooms. 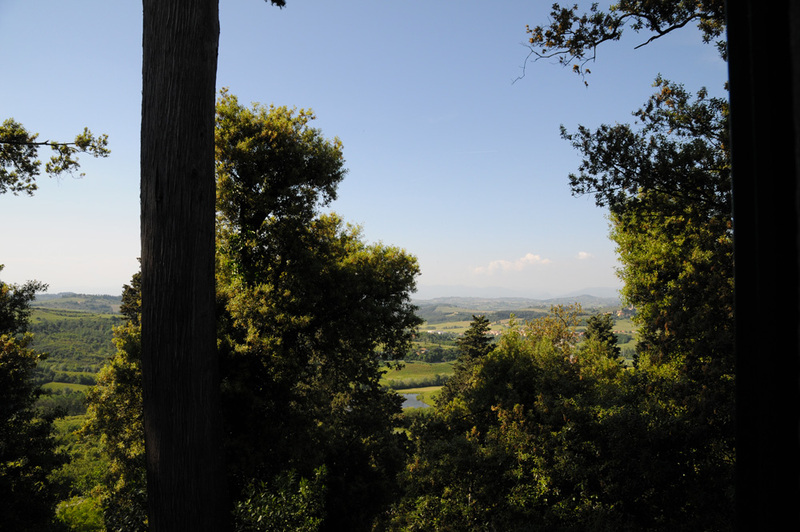 There are two delightful gardens and a splendid terrace framed between the woodland trees. 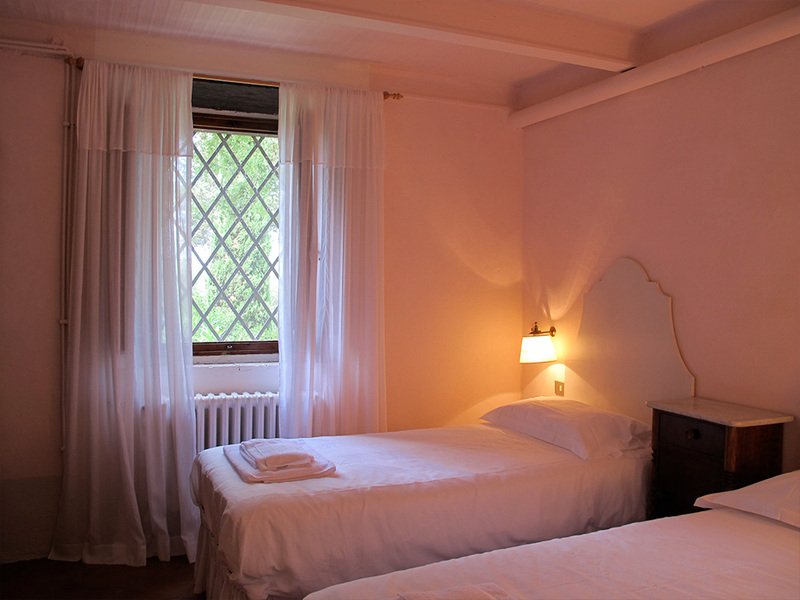 The apartment can accommodate up to a maximum of 4 people. 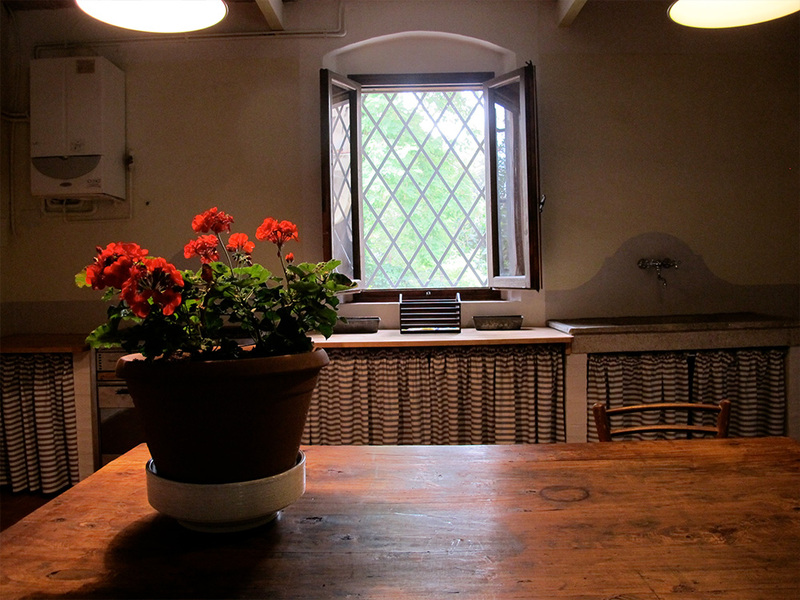 “Cantiniere”, which dates from the fifteenth century. It is composed of three bedrooms with air conditioning (two doubles and one triple), each with a private bathroom and a cozy fully equipped kitchen. 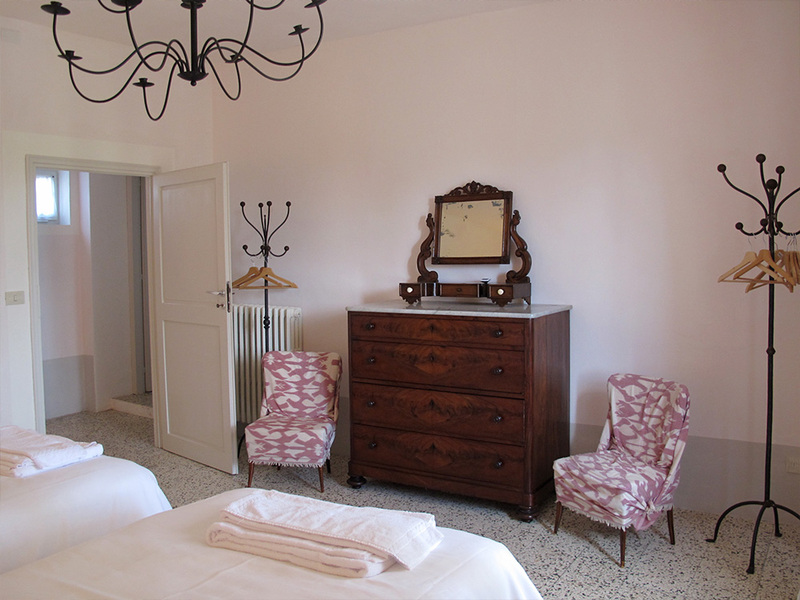 The combination of the decor in the “country” style of the past century, and the new renovation of the rooms creates the ideal atmosphere to stay in harmony with the Tuscan countryside. 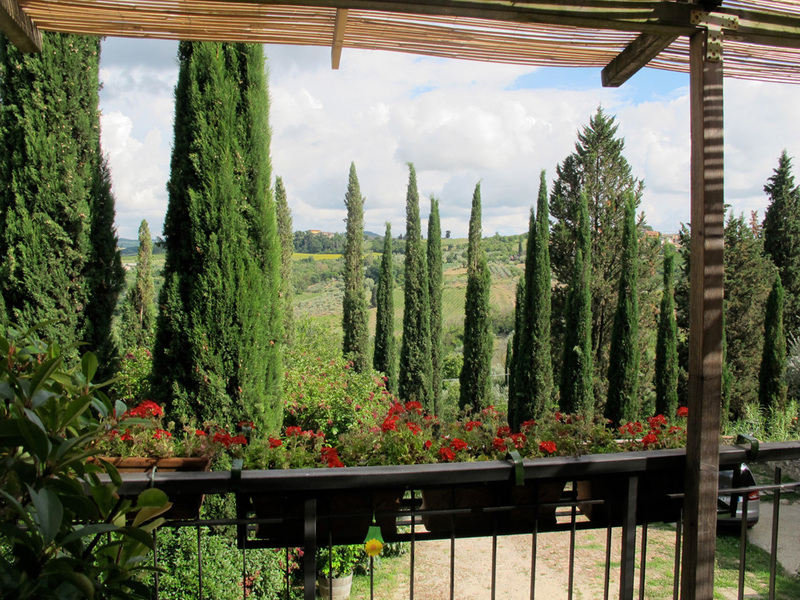 A lovely balcony, surrounded by cypress trees, overlooking the rolling hills of Tuscany. 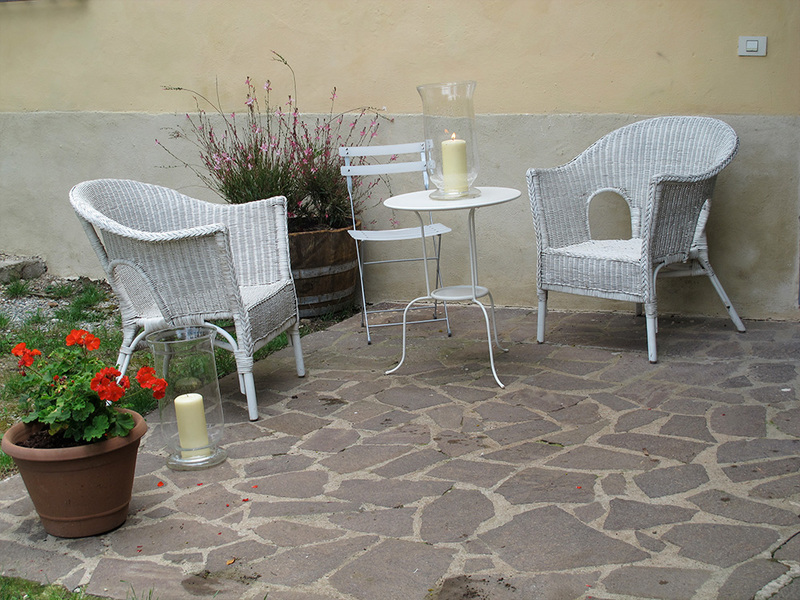 In front of the terrace is the old “Aia” perfect place to relax and enjoy a beautiful sunset over the vineyards and olive groves of the Castle. The apartment can accommodate up to a maximum of 6 people. Just behind the Castle is the “Farmhouse” that dates back to the late nineteenth century. 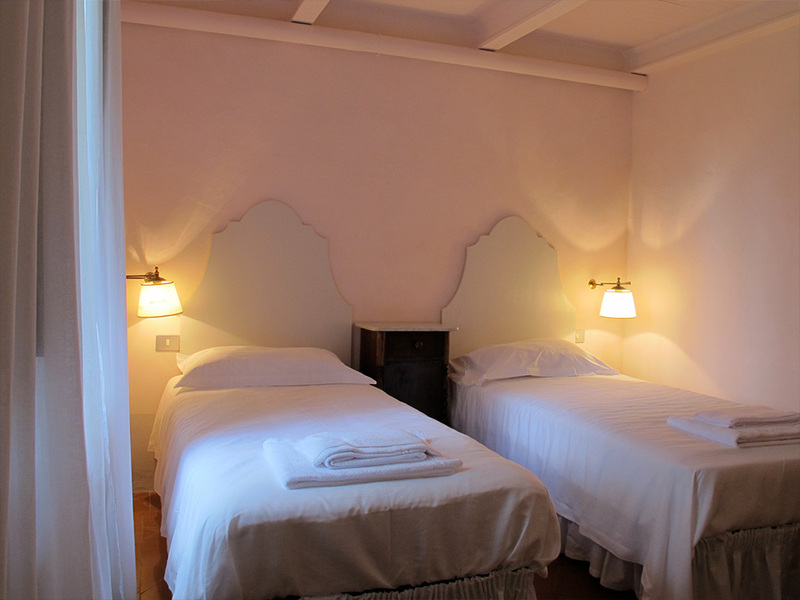 Although recently renovated the house has maintained the rustic style of the past century. The ground floor consists of a spacious living room with a sofa, a large kitchen with fireplace and a double room with private bathroom. 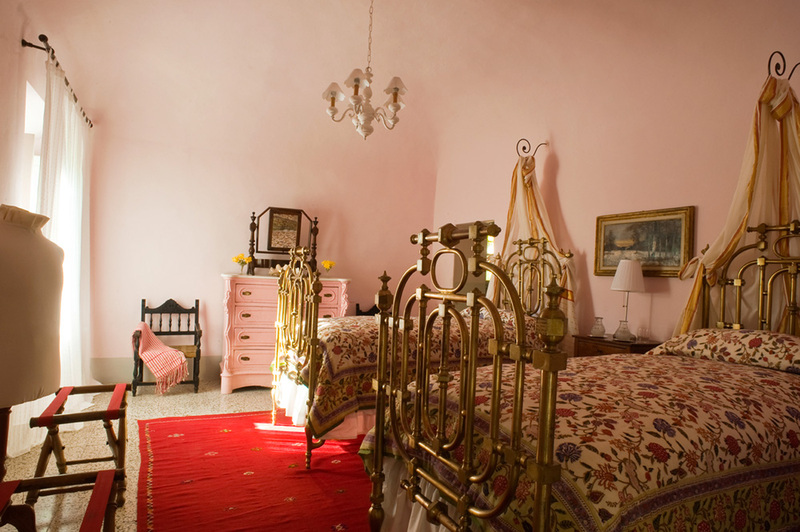 The stairs leads to the first floor composed of two double rooms with bathroom. 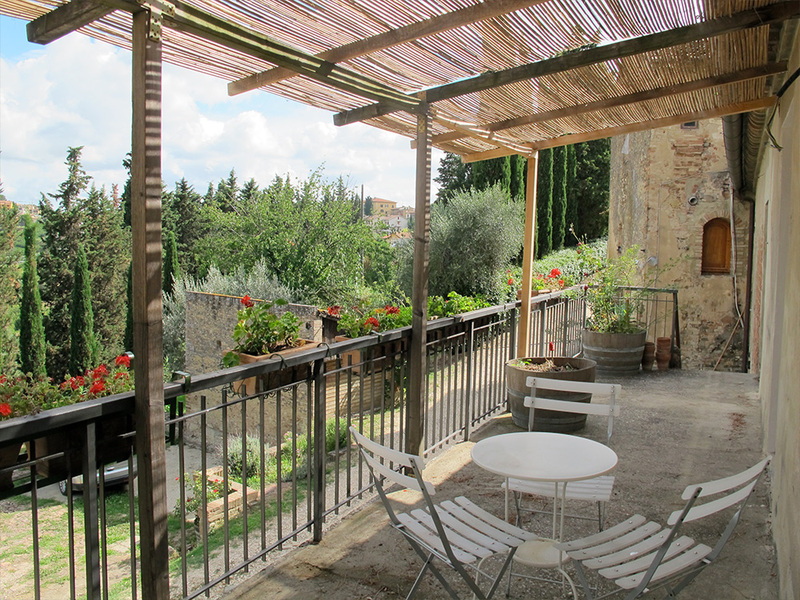 A large private garden enriches the home and allows guests to relax in the shade of the tower. Ideal for families with children. The apartment can accommodate up to a maximum of 6 people.